Spring is here and I know you are all eager to get outside! 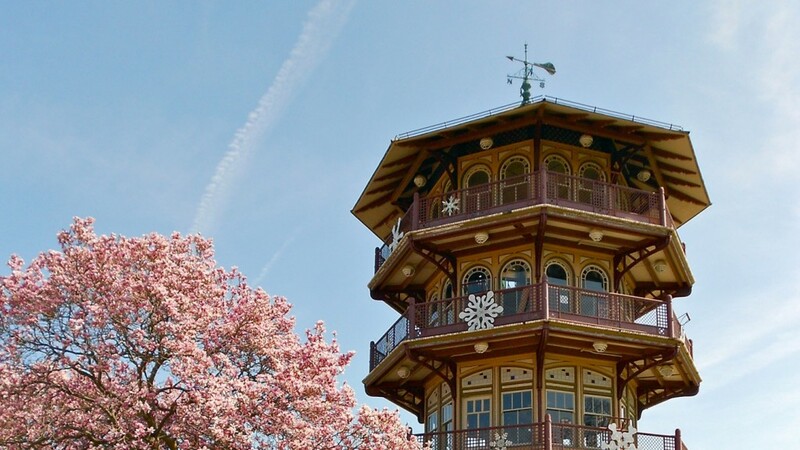 The arrival of spring is a sign that we’re kicking off our 2017 Monumental City Tours with a climb up to the top the Patterson Park Pagoda on April 23. In May, we return to the Baltimore Farmers’ Market & Bazaar where we offer tours of Jonestown and downtown landmarks on the first and second Sunday of the month through November. 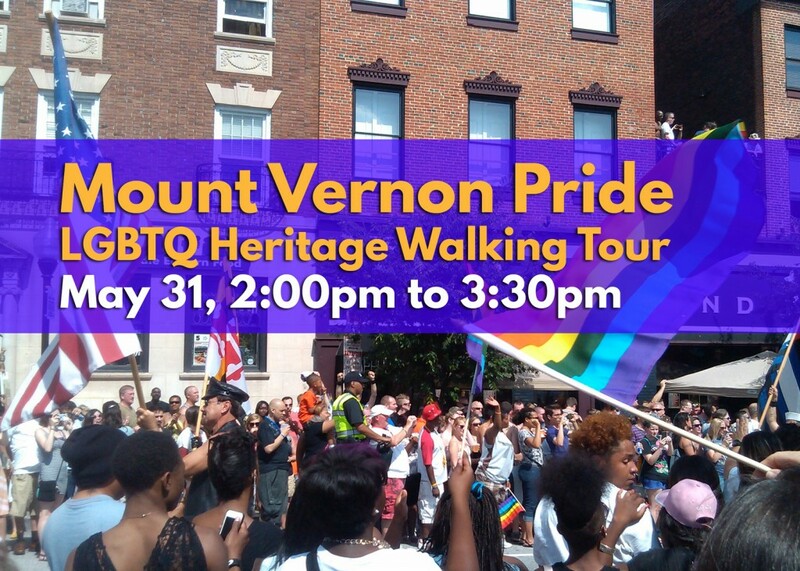 This month, you can also join our Mount Vernon Pride tour of LGBTQ heritage from the original building of the Chase Brexton Health Center to the locations where early twentieth-century lesbian women helped shape some of Baltimore’s premier educational institutions. We’ll continue to explore downtown with Theatrical Baltimore: a walking tour with theater historian Bob Headley. Spend a morning learning about our city’s rich performing arts history, from vaudeville venues to historic movie houses. If two wheels are your thing, we’re hosting our first spring bike tour on May 21: Florence Meets Baltimore By Bike: Gelato and Ice Cream. If you promised your sweetheart a trip to Florence but just can’t make it work, do the next best thing by joining our tour. You’ll learn why Baltimore is way more important than Florence in the history of frozen desserts. Finally, don’t miss two upcoming events from our partners: tomorrow’s Opening Day for Trails and next weekend’s Everyday Utopias public art installation at Pool No. 2 in Druid Hill Park. Pool No. 2 (1921-1956) operated as a segregated pool in the historically black section of Baltimore’s Druid Hill Park. Everyday Utopias invites viewers to consider the promise of both real and imagined aspects of civic participation as they navigate their way through physical structures and spiritual spaces of the pool’s remains. Sheena M. Morrison, MFA Candidate in MICA’s Curatorial Practice Program, brings together eleven contemporary artists who respond to the palpable history of Pool No. 2 with imaginative wit, humor, and compassion. Please join Ms. Morrison on for the opening reception on Saturday, April 15, 4:00 pm to 8:30 pm. Please join author Louise Parker Kelley and assistant editors Ben Blake and Richard Oloizia for a book launch party celebrating the publication of LGBT Baltimore, which has just been published by Arcadia Publishing. The party will be held on Monday, September 28 from 6:00 until 8:00 p.m. in the Bogomolny room on the fifth floor of the University of Baltimore’s Student Center located at 21 W. Mt. Royal Ave. (The building is on the southeast corner of Maryland and Mt. Royal.) At 7:00 p.m. University of Baltimore president Kurt Schmoke, who was an instrumental figure in the passage of Baltimore’s lesbian and gay rights bill when he was mayor in 1988, will speak. Louise will also make some remarks about the book, and a book signing will follow. Light refreshments will be served, and copies of the book will be available for purchase. Arcadia specializes in publishing local and regional history titles, and LGBT Baltimore is part of its Images of Modern American series. Arcadia has published eight titles which are pictorial histories of the LGBT communities of various cities: these include Baltimore, San Francisco, Provincetown, Washington, D.C., Philadelphia, Atlanta, West Hollywood, and Richmond. LGBT Baltimore is ninety-five pages long, and has 162 color and black and white photographs drawn mostly from the archives of the Gay, Lesbian, Bisexual, and Transgender Community Center of Baltimore and Central Maryland (GLCCB). The GLCCB’s archives, which include photographs, memorabilia, and organizational files, are housed in the Langsdale Library at the University of Baltimore. The book includes an introductory ten page essay which chronicles the social, cultural, and political history of Baltimore’s LGBT community. If you’re unable to attend the party copies of the book are available for purchase online from Amazon, Barnes and Noble, Arcadia Publishing, and the Ivy Bookshop. Copies are also available from local bookstores including Ukazoo Books, Red Emma’s, Normal’s Books and Records, Atomic Books, the American Institute of Architects Baltimore Bookstore, the Evergreen Museum Store, the Ivy Bookshop, and Barnes and Noble. Purchase price is $22.95; all royalties from sales benefit the GLCCB. Listen online to an interview from Maryland Morning with Louise and civil rights lawyer and longtime LGBT activist Curt Decker. Many know Mount Vernon as the home of Baltimore's Pride Parade as well as the city's oldest gay and lesbian bars and businesses. But that only is only a small part of the LGBTQ history and historic places found in this neighborhood! Join Baltimore Heritage for a 90-minute walking tour of the neighborhood's queer heritage landmarks, from the origins of the Chase Brexton Health Center to the locations where early-20th century lesbian women helped shape some of Baltimore's premier educational institutions. 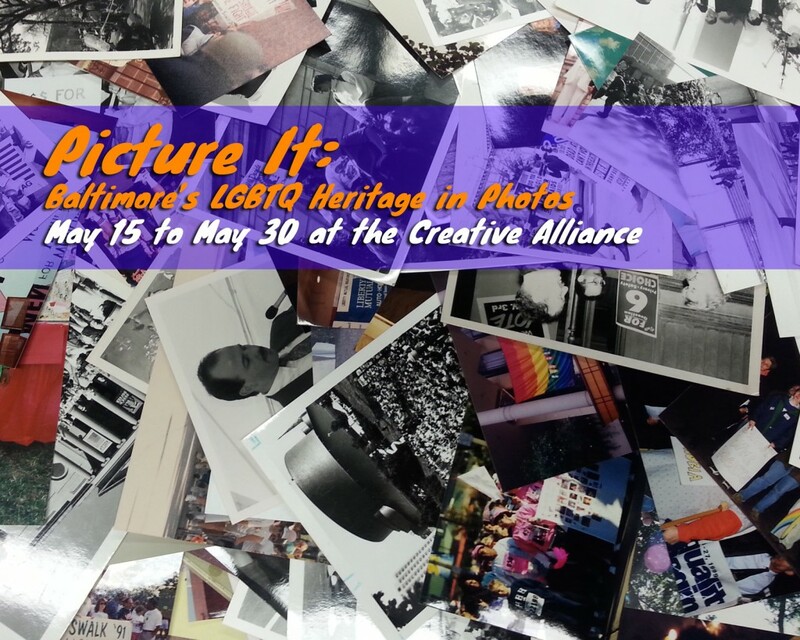 Stop by the Creative Alliance on May 15 for the opening reception of the very first exhibit showcasing items from the Gay and Lesbian Community Center of Baltimore’s Archives. On view will be historical images as well as dozens of unidentified photographs from the collection.